MY BIRTHDAY IS..... WHAT CRYSTALS DO I NEED? ​Each chakra resonates with a different elemental energy or vibrational frequency (fire, earth, metal, water, ether. light and sound). The unique pattern of each of your chakras is displayed through your own personal astrological sign, which represents your body, emotions, spirit and kundalini energy. While you are able to meditate on all the chakra points while raising your Kundalini energy, by adding in the focus of your personal crystals, you are able to enhance the experience. An Aries person will find that focusing more intently on particular chakras, that their healing will be increased, as they vibrate at a higher intensity with these chakras. The Base Chakra - to increase and balance your feelings of security, stability, attachment and passion. The Solar Plexus Chakra - to increase and balance your desire, self love, self esteem, personal will, self empowerment, honour and responsibility. The Throat Chakra - to increase and balance your creativity, intention, higher will, communication, faith, truth, knowledge, expression and choice. Attributes - is a crystal that gives you spiritual resolution. It is the rescue remedy for shock, trauma and blockages. Helps integrate your dark side with the light, activates untapped abilities. Eases pain, tension and constriction of the vessels and enhances blood flow and wound healing. Message - Knowledge is channelled from the unconscious to reality. Focus - unique and independent, you display a high degree of psychic and creative talent. Affirmation - I provide comfort through awareness. Attributes - This is the stone that promotes a cheerful and relaxed atmosphere. Enables you to live your dreams, promotes a relaxed alertness. Promotes blood formation, good blood circulation, warms up and revitalises numb parts of the body, fortifies the liver. Message - Charismatic entertainer, satirical and ironic, energising. Focus - Self confidence and enthusiasm are energised through comedy, lifting the emotions of those around you. Affirmation - I laugh often with others. Attributes - Guides you on the path of self assertion. Boosts self confidence an a sense of responsibility. Improves rational thinking, logic, control and the power of reasoning. Sharpens the sense of hearing, helps with diseases of the inner ear, improves the functions of the nerves. Message - Face to face contact enhances clarity, empathy, comprehension and understanding. Affirmation - I cooperate with people face to face. Attributes - This stone detoxifies. Promotes trust, and a sense of safety; helps with heartache, jealousy and nightmares. Help solve relationship problems. Purifies, detoxifies and helps with allergies, epilepsy, skin diseases, fungal infections and rheumatism. Focus - You show others the opening of your heart, energising and expressing love with equality and balance. Affirmation - I appreciate balance through love. Attributes - Spiritually this crystal gives you awareness and clarity. Improves dream recall and emotional orientation. Enhances awareness and heightens consciousness. Relieves pain, supports the nerves, brain and senses. Message - Generates a heightened perspective, fulfilling understanding. Focus - You focus clear energies from the divine into life, allowing expansion through change. Affirmation - I achieve spiritual enthusiasm through sensitive experiences. Attributes - Spiritually this stone sends you severity, calm, the ability to come to terms with the inner void in your life. Calms your disposition and helps you over come melancholia. Turns away thoughts from the past; sobriety. Detoxification; dissolves deposits in the joints; helps with stiffness and immobility. Message - Promoting harmony and balance with a grounding, structured undertone. Focus - You act as a focus for healing and spiritual form in the world, people turn to you in their time of need. Affirmation - I seek self direction toward spiritual awareness. Focus - You positively influence change through light and love in the physical and spiritual realms. Attributes - This stone offers inner stability, composure and maturity. Protection, warmth, security and self confidence. Mentally you achieve a sense of reality, pragmatic thinking. Physically this stone is for the eyes, stomach, intestines, blood vessels and skin. It is a protective stone during pregnancy. Focus - You promote uniqueness by respecting positive thought energy that flows toward a purposeful goal. Affirmation - I am free thinking, with expansive intuition. Attributes - Spiritually self recognition, see your true reflection. Brings insight into your emotional life, promotes untapped abilities. Helps examine yourself with neutrality and promotes perception. Helps break resistance against recovery. Message - Crystal balls see into the past, define the present and predict the future. Focus - Clearly a spiritually gifted person, you focus potentials into reality. Affirmation - I work responsibly and have profound visions. Attributes - Spiritually fossils will bring you harmony, dignity and splendour. It is for a sense of beauty, seductive charm and charisma. Awakens interest in mysteries and releases mental obsessions. Normalises cell metabolism, energy output, heartbeat and fortifies the heart. Message - Natural designs tempting us to interpret shape and meaning. Focus - You understand and explain the significance of karmic and mundane life patterns. 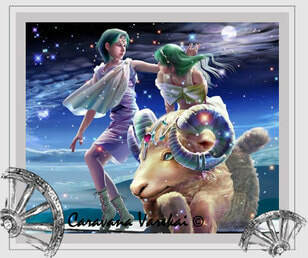 Affirmation - I utilise my skills of interpretation, investigation and communication. Attributes - Green aventurine stimulates mental alertness and clarity, with the evolution of ideas bringing career success. Helps with nervousness, stress and sleep disorders. This stone will free you from anxiety and roving thoughts. Protects against heart attack and arteriosclerosis, alleviates rashes, inflammations, sunburn and sunstroke. Message - Achieve greatness with the support of many great people. Focus - Through strength and good fortune you achieve greatness, even under challenging circumstances. Affirmation - I value and respect others and acknowledge mutual support. Attributes - Barite has angelic energy, aids meditation with the spiritual realm. It helps you set boundaries for yourself and others. Clears confusion, helps with shyness and anxiety. Strengthens memory, helps formulate thoughts and words. Improves posture; good for sore throats and stomach as well as strong sensitivity to cold. Message - Negate harsh reactions, enhance hope and direction. Focus - You energise life through your spontaneous good nature, use your wings to gain a fresh perspective. Affirmation - I remain light hearted in all situations due to my higher awareness. Attributes - Sodalite absolves old patterns of behaviour, guilt and fear, motivating you to peaceful change. This stone helps you with the search for truth. It dissipates guilt, helps stand for oneself. Increases consciousness, idealism and the striving for truth. Enhances assimilation of fluids; helps with hoarseness, loss of voice, fever, excess weight and high blood pressure. Message - Clearing, expanding energy used to auspiciously change your fortune. Affirmation - I choose to illuminate and modify my current circumstances. Attributes - Serpentinite promotes intimate love, attracts money and develops your psychic abilities. Ideal for using in meditation to raise the Kundalini energy. Focus - You recrystallise yourself through passionate interaction with others. Affirmation - I can transform into the ultimate state of being. Attributes - This crystal ties you to the past and will aid you in past life memory meditation by acting as a calming stone. Message - Concentration, application, visual rewards, spiritual communion. Focus - You bring into existence practical gifts, you work with other people fulfilling a divine purpose.